City Cleaning Company was established in 1998, The company is owned and operated by Dusty and Teresa Allen. Our goal is to provide you with the best care and service for all your dry cleaning and laundry needs. We treat your clothes like our own! Services we provide are dry cleaning, Leather, Alterations, Shoe Repair, and Monogramming. 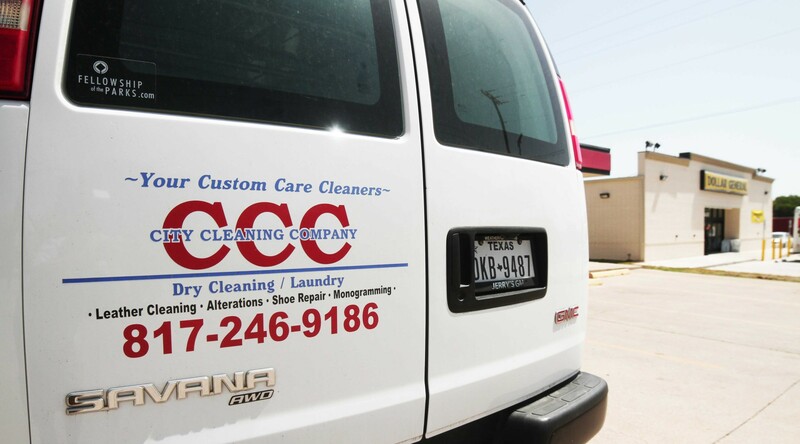 We are the only dry cleaners in White Settlement. 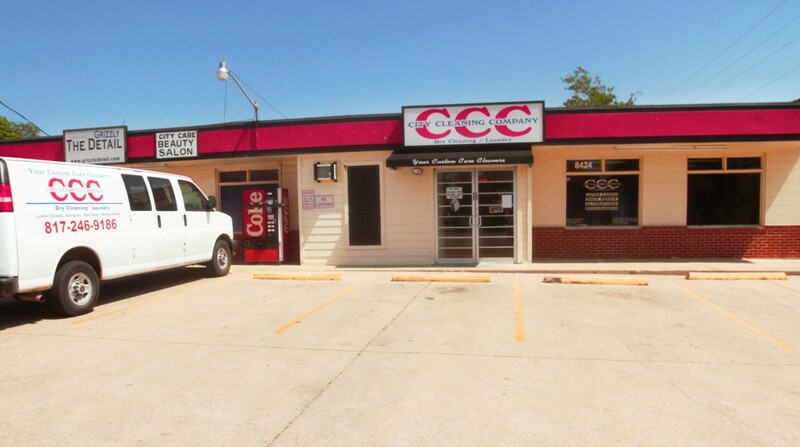 We are Located next to the new Dollar General on White Settlement Road. If you want easy drop off and pick up service at an honest price, then come visit us at the City Cleaning Company, we look forward to doing business with you. We are located right next to the brand new Dollar General off of White Settlement Rd. Dry Cleaning- We specialize in men and women’s business attire, wedding dresses, and more. Laundry- Men’s shirts, Women’s blouses, Jeans, etc. Leather- We can clean and repair leather to shine or restore it to previous condition. Alterations- Wheteher it’s fixing jeans, zipper on pants, hemming length, or altering your clothing. Monogramming- City Cleaning Company can stitch logos and designs on shirts, hats, jackets, caps, totes, and other items for the office, club members, and others. We can stitch backpacks, duffel bags, jackets, vests, robes, shirts, caps, and anything else you can think of! Shoe Repair- City Cleaning Company Dry Cleaners offers professional shoe service and repair. Whether it’s a simple shine, full soles, half soles, new heals or other repairs. We can also clean and repair purses.